Prolotherapy is a proven technique for resolving musculoskeletal pain, but can have limitations if tissue damage is too severe. 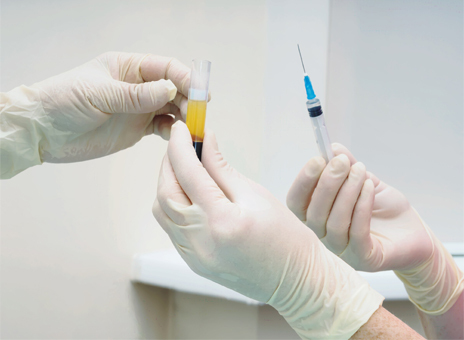 Platelet Rich Plasma (PRP) Prolotherapy offers a physiologic tool in some of those cases, but this too may fail. One explanation for deficient repair is when undifferentiated adult stem repair cells are inadequate in number or cannot be stimulated within the damaged tissue site. With improved understanding of tissue healing and regeneration, stem cell Prolotherapy is gaining significant clinical importance and potential. Using Prolotherapy technique, with ultrasound guidance, placement of a living bio scaffold of autologous adipose (fat) tissue and its mesenchymal stem/stromal cell population, mixed with critically important high-density PRP (defined as a minimum concentration of >4 times circulating baseline platelet levels), provides enhanced musculoskeletal healing, shifting the clinical paradigm.